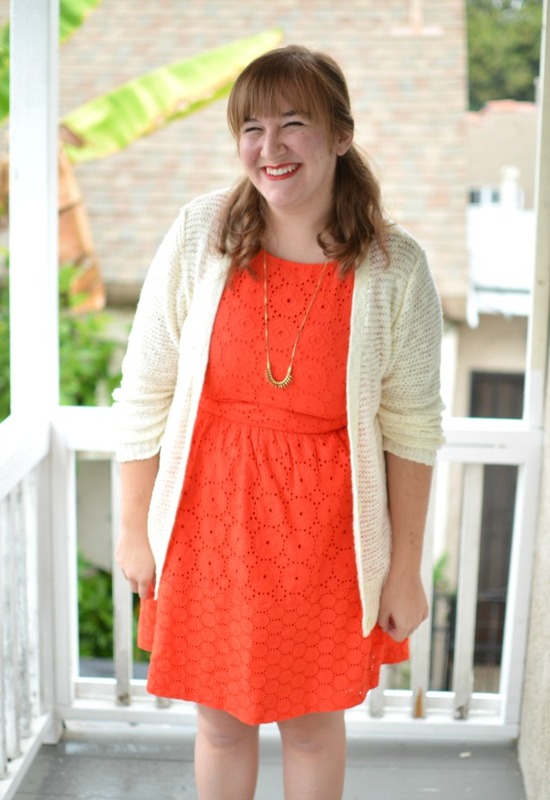 As an avid secondhand shopper, it's no surprise that I wanted to work with ThredUp. I'm adamant about the fact that most of the best pieces in my wardrobe come from thrift and consignment stores, and while I'll always love the hunt of thrifting in stores, I'm constantly looking for new ways that my lazy self can do so from the comfort of home as well. 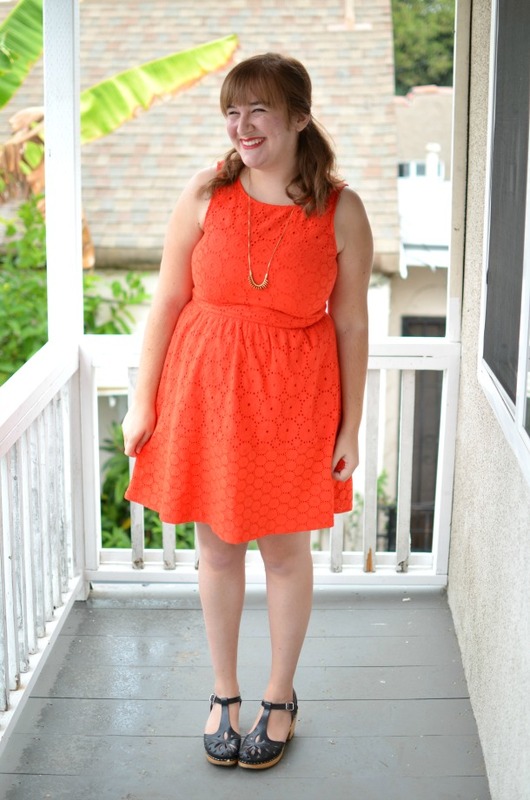 Naturally, this means that I'm in love with browsing through ThredUp, an online consignment store. As I've said countless times on here, not only is shopping secondhand a great form of recycling, it's also a great way to get unique pieces on a budget. This time around, I got three piecs for about $30, which goes a long way on ThredUp. 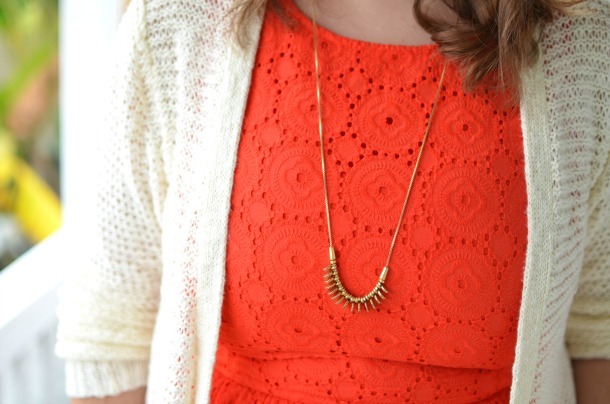 In addition to a skirt that I'll feature in Wednesday's post, I picked out this Kensie eyelet dress and Old Navy cardigan. I've been trying to do a better job of shopping smarter and getting clothes that I won't want to give away in three months (as I'm known to do), and I'm proud to say that I feel confident that I succeeded. 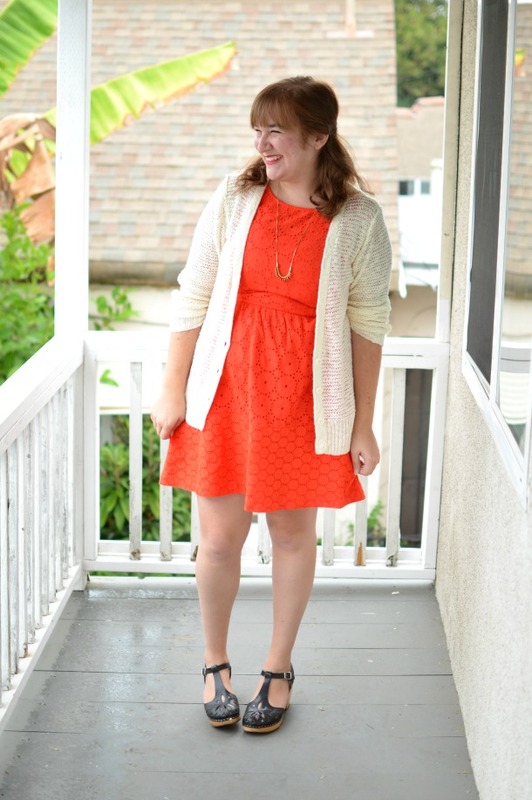 This cardigan is such a perfect, comfy staple piece, and I've honestly worn in three times since I got it last week. My wildcard pick was this dress though. I was not sure how this dress would be in person, and once it came in a bit brighter than I expected, I wasn't sure I could pull it off. Once I put it on, though, it was love at first sight. It fit like a glove and ended up being such a fun addition to my closet. What I love most is how surprisingly versatile it is. It's fantastic for layering and easy to dress down, but it also would be my go-to piece to pair with heels for a wedding. I really cannot wait to style this dress a million more ways. I love when I give rave reviews with all honesty, so I'm excited to let you know that my readers can head to ThredUp and use the code HANDM50 for 50% off first-time orders up to $50 on H&M pieces. 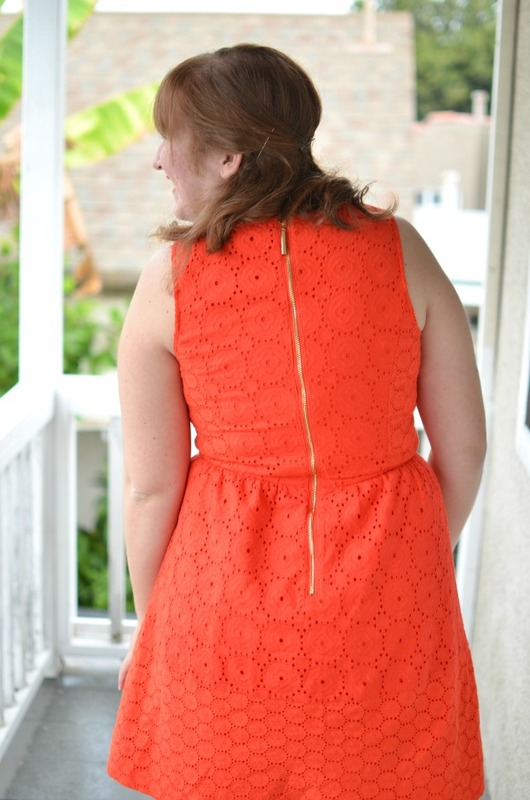 My next post will feature a new staple H&M item from ThredUp, and trust me, you'll want to get one for yourself. In terms of real life stuff, this weekend was spent watching a crap load of movies and house hunting with my parents. They're looking to move back into Orange County, so Jon, my brother, and I went with them to look at some places. It was a ton of fun to look at houses, especially considering that I'll be over at their new places a lot more often once they live closer again. Hooray for not having to drive an hour or longer in traffic anymore! 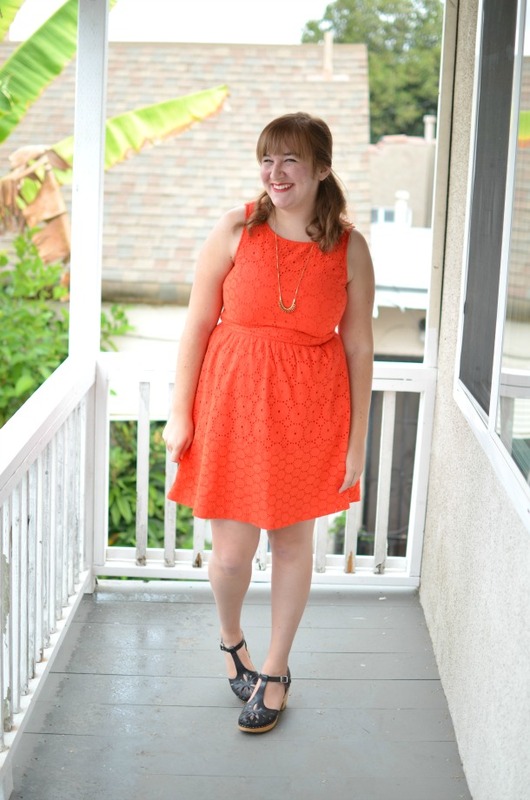 ThredUp is so awesome! I love the idea of thrifting but going to a physical store means potentially looking all day and I don't always have the time to do that so an online thrift store is right up my alley! LOVE the dress - the color, the silhouette, the eyelet, everything! So cute! An unexpected but lovely color on you! 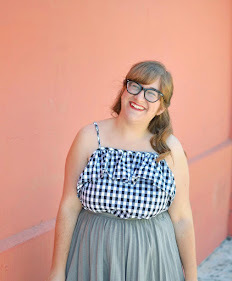 I'm so glad you got to work with ThredUp- they are great! Ok I love this color on you! Glad you got some good stuff.